Mike Tomlin is unique as he is only one of three African-American coaches in the NFL. Tomlin has been with the Pittsburgh Steelers since the last decade and is one of the longest-serving head coaches in the league and for good reason. Despite rules in place to encourage racial diversity amongst coaching staffs, the league has still lagged behind when it comes to hiring black coaches. For instance, five African-American coaches were fired this offseason, while only one was hired. "It was a disappointing hiring cycle for someone who watches it like I do," Tomlin told the Pittsburgh Post-Gazette. "Knowing some of the deserving men I do who I thought should have gotten an opportunity and didn’t." 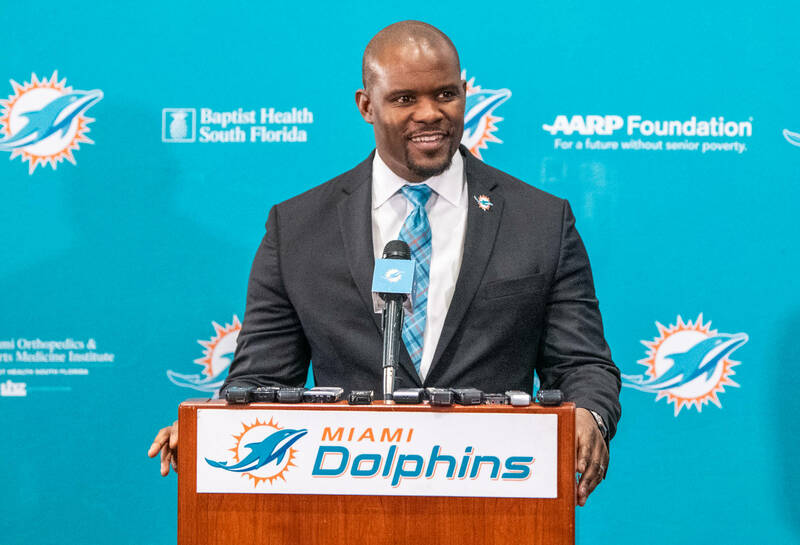 Brian Flores was the only black head coach hired this offseason as he went to the Miami Dolphins. Tomlin says there is still a lot of work to be done when it comes to racial diversity and that he hopes to help change things when it comes to the culture in the NFL. "We’ll continue to fight for [equality within opportunity], not only in terms of head coaching searches, but maybe other areas of the profession as well," Tomlin said. "I know there’s some discussions in the off-season regarding some of that." The Steelers finished 9-6-1 last season and some believe Tomlin could lose his job if the Steelers miss the postseason again.